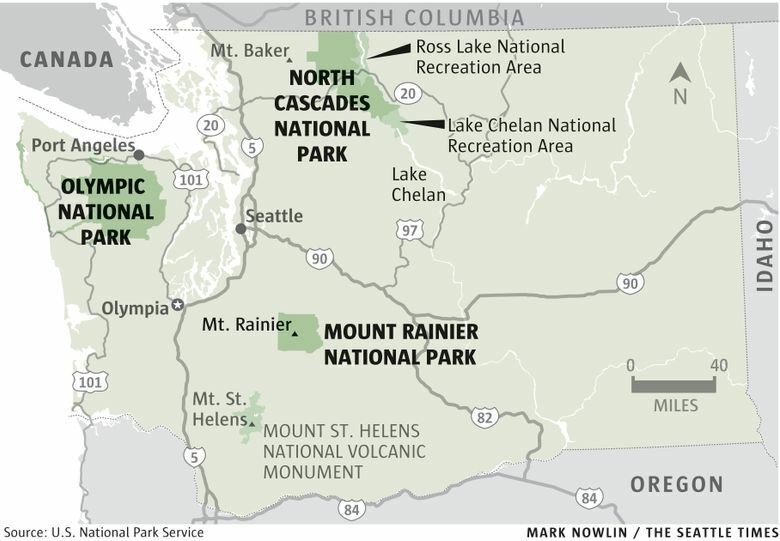 For today's National Park Service’s centennial, here are ideas for anyone to enjoy Mount Rainier, Olympic and North Cascades national parks. California: One state, nine parks — an incredible mashup of islands, deserts, a volcano, the Range of Light and the tallest trees on Earth. Wow. Utah: You’ve seen the ads: The mighty 5. It’s a worthy title, even if some tourism huckster did think it up. From A-rches to Z-ion, southern Utah can bust your brain with improbable formations and all those multihued landscapes. Just amazing. Washington: No question, the home state is a front-and-center finalist in this natural-beauty contest. Take a look at the winners of our national-parks photo contest. Test your knowledge: Take our national-parks quiz. Think about it: The Big WA features 1) the nation’s most startling stand-alone peak (Mount Rainier’s ice-capped summit towers 8,000 feet above all nearby peaks); 2) a World Heritage site (Olympic National Park) where a coastline and ridgelines are connected by a rain forest; and 3) one of the country’s most underappreciated parks (North Cascades), home to roughly 300 glaciers — about a third of the Lower 48’s total. Bonus: Each park’s map dagger is planted within a three-hour drive of Seattle. Connect the dots and you’ve got the Too Much Triangle, a real-world Oz of mountain majesty. And here we are, occupying the refined urban island right in the center of it. Life is sweet. So why just sit there? Unless fresh air makes you nervous, you really should get out and go see why the 100th anniversary of the National Park Service (Aug. 25 is the day) is such a big deal. National parks, you have probably heard, rank as America’s best idea. What follows are ideas for people of any energy level: see-it-through-the-windshield roadies, modern families, day hikers and adventure go-getters. Some of this state’s — this country’s — finest scenery awaits you. Established: March 2, 1899, America’s fifth-oldest national park; 236,000 acres; 369.3 square miles. High point: its 14,411-foot namesake peak. 2015 recreation visitors: 1,237,231 (18th among 59 national parks). Seattle to Paradise: 98 miles. Make the most of morning light and start early at the park’s northeast entrance on state Highway 410. Just past the White River turnoff, a handful of uneven, narrow turnoffs (watch out; no guardrails) offer eye-bugging views. Farther up 410 find more long-distance views just before cresting at Chinook Pass. On Stevens Canyon Road, a picnic area west of Box Canyon offers a hulking view of Rainier. The highlight of this 19-mile trip to Paradise is the pullout at Reflection Lakes. Always busy, but always worth a stop. 1. At the White River turnoff on 410, begin a winding 15-mile drive to Sunrise (6,400 feet, the highest point in the park accessible by vehicle). Kids will insist you stop at the parking area at Sunrise Point (at the hairpin turn near the top). Once at Sunrise, stroll north up to Sourdough Ridge Trail and head toward Frozen Lake until the kids want to turn back. 2. 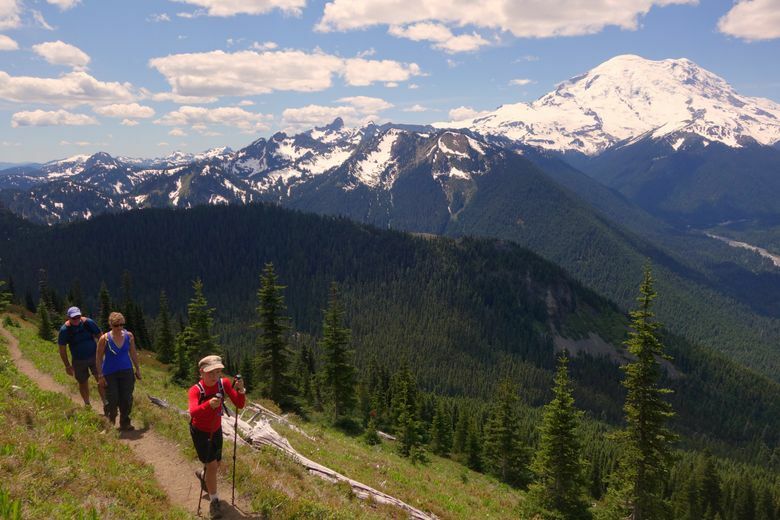 Follow 410 to the parking area at Tipsoo Lake and take the moderate 4.5-mile Naches Peak Loop Trail (700-foot elevation gain). Fantastic wildflowers in season, and a knockout view of Rainier halfway through. 3. Walk any of the short, paved, understandably busy wildflower paths at Paradise. 4. 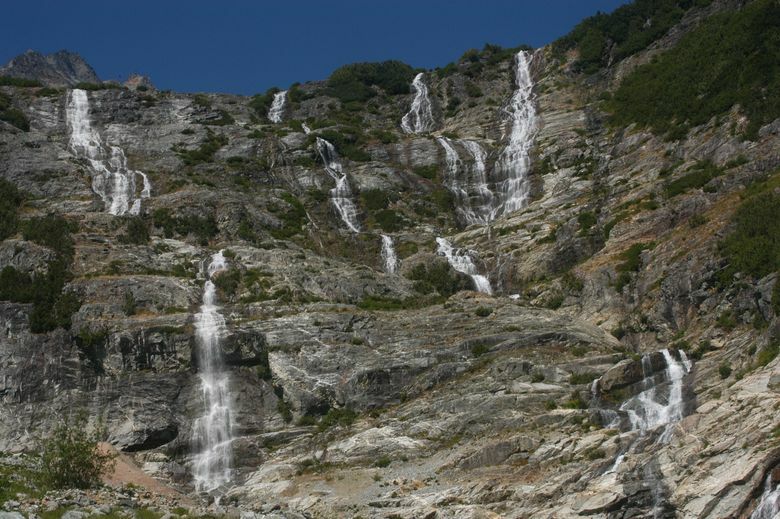 Narada Falls (between Paradise and the Longmire entrance) and its brief, moderately steep downhill walk to the best angle for views. 5. Walk 1.1 mile among tall trees in the Grove of the Patriarchs, just inside the Stevens Canyon entrance. 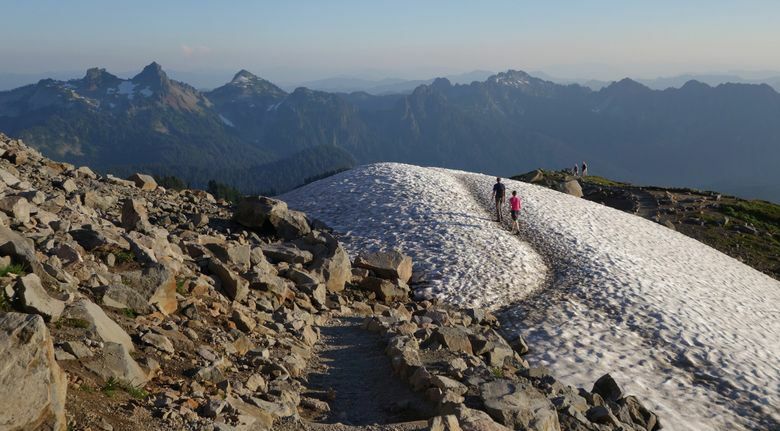 At Sunrise, the Burroughs Mountain loop is a park classic and puts hikers face-to-icy-face with Rainier’s northeast slopes and Emmons Glacier. It’s seven miles round trip and a 1,000-foot elevation gain if you reach the second of two high points known as First and Second Burroughs. Start by hiking past Frozen Lake; return via the Sunrise Rim Trail. Workout hikes: Summerland (8 miles; close to strenuous; begins at Fryingpan Creek on White River Road); Crystal Peak (7 miles, 3,100-foot elevation gain) and Shriner Peak (8.4 miles; tough and steep; 3,434-foot elevation gain). Both are best accessed from 410. All three offer huge, unobstructed views of Rainier’s east face. At Paradise, the best of the wildflower trails is 5.5-mile Skyline Trail, a loop that carries you above timberline and away from some of the crowds (and flowers). From Mowich Lake in the park’s northwest corner (via Wilkeson on Highway 165; requires about 10 miles of dirt-road driving), Spray Park is an eight-mile, out-and-back gem best viewed in afternoon light. 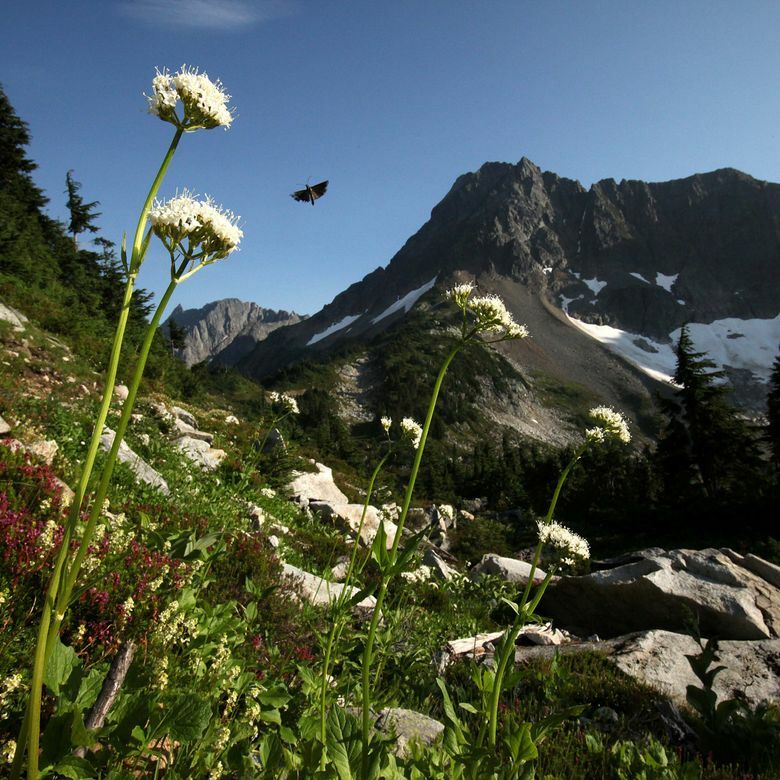 The 93-mile Wonderland Trail, one of the world’s great hikes, is often completed in sections. One of the best is a 16-mile east-side stretch between Box Canyon and Fryingpan Creek, visiting Indian Bar, barren Panhandle Gap and Summerland. Difficult, but gorgeous. Established: June 29, 1938. 922,000 acres; 1,441 square miles. High point: Mount Olympus, 7,965 feet. 2015 recreation visitors: 3,263,761 (seventh overall). Seattle to Hurricane Ridge: 100 miles (via Bainbridge ferry), 158 miles (via Narrows Bridge). Seattle to Hoh Rain Forest Visitor Center: 169 miles via Bainbridge/Port Angeles; 216 miles via Olympia/Kalaloch. 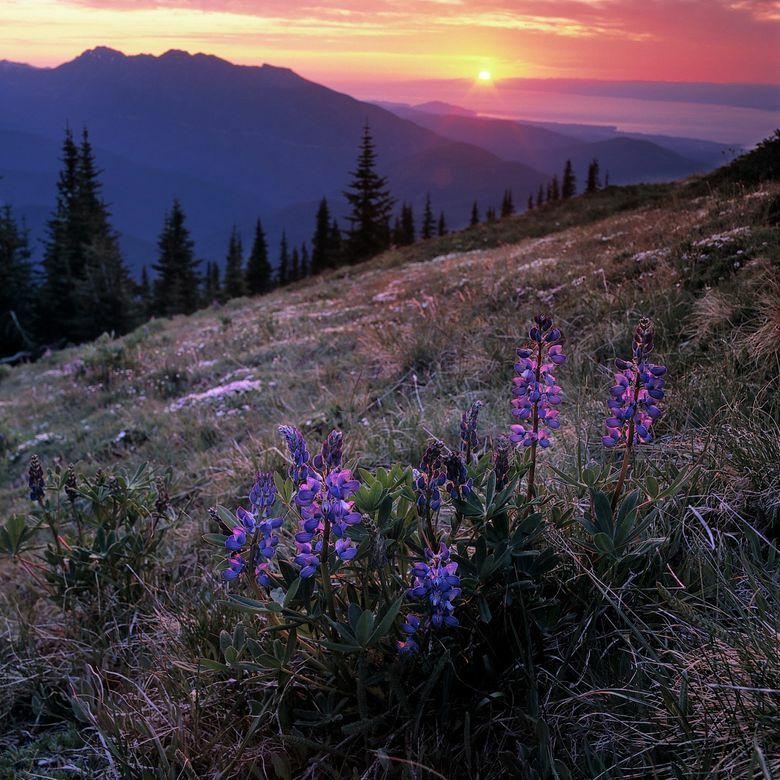 From Port Angeles, a 17-mile, 45-minute drive ends at 5,242-foot Hurricane Ridge, with abundant views, nature trails and a nearby picnic area. Courageous drivers can attempt the eight-mile drive on a narrow, sometimes unnerving dirt road out to Obstruction Point (6,150 feet), where views are fabulous. 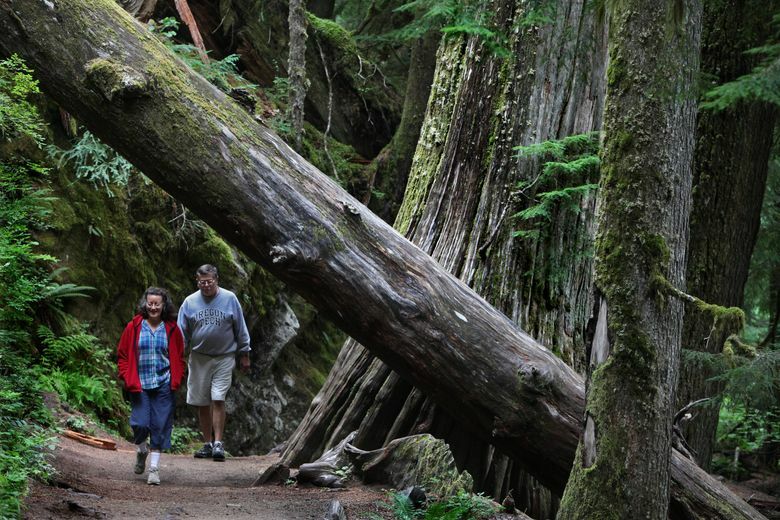 In the park’s southwest corner, a terrific loop drive involving South Shore and North Shore roads winds around Lake Quinault, though North Shore Road can be a rough drive. The easiest coastal access is at Kalaloch. 1. About three miles beyond the Hurricane Ridge Visitor Center starts a 1.5-mile hike on a paved trail to 5,757-foot Hurricane Hill (moderate, 650-foot elevation gain). Fine long-distance views; just don’t expect solitude. 2. 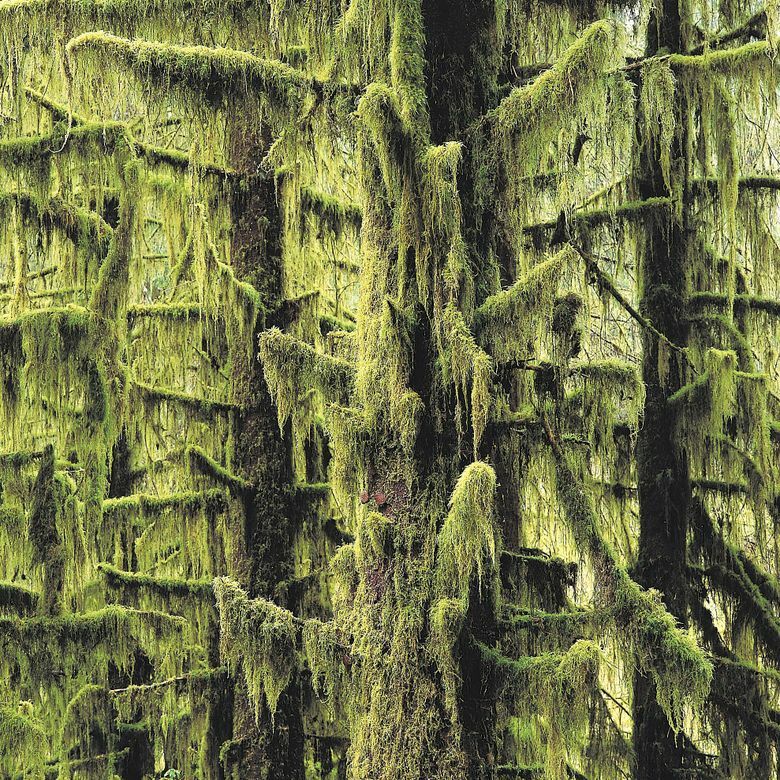 At the Hoh Rain Forest Visitor Center, the 0.8-mile Hall of Mosses Trail is routinely a hit with young hikers. 3. Observing tide-pool activity is popular at Beach 4 and Ruby Beach, near Kalaloch. On Grand Ridge, it’s a long way (7.5 miles) to Deer Park, so go as far you like and turn around. The route climbs about 600 feet after two miles — guidebook author Craig Romano says this is the highest maintained trail in the park — and the views in all directions are superb. Grand Valley, meanwhile, is a tough but visually outstanding 10-mile loop that drops 2,400 feet to Grand Lake before the return trip regains all that elevation. 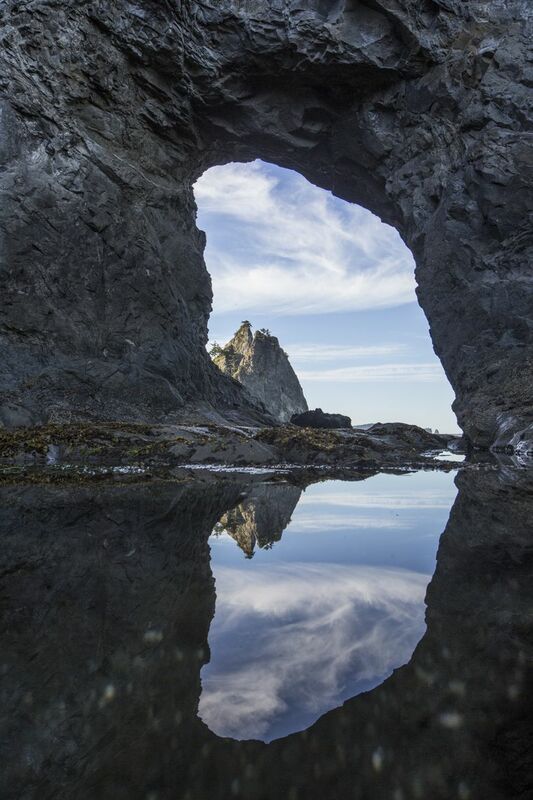 A beach classic: The flat, 9.4-mile triangular coastal loop starting at remote Lake Ozette leads to lovely Cape Alava and Sand Point. If the clouds part it is a sensational walk. Late-lingering snow usually makes the following 46-mile loop accessible only late in the year: Start at the Obstruction Point trailhead, hike down to Grand Lake, then keep heading south over Grand Pass and eventually difficult Cameron Pass. Turn east on the Dosewallips River Trail, north on the Gray Wolf River Trail, up to Deer Park and back to Obstruction Point. Grand it is. 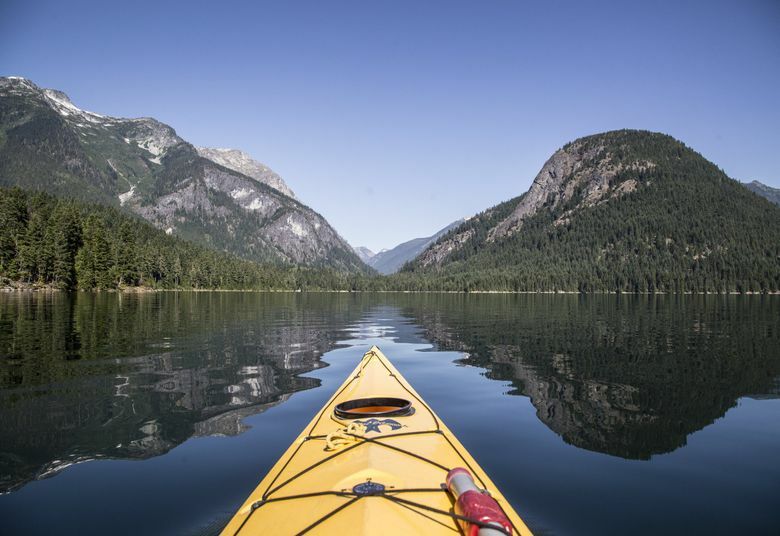 Established: Oct. 2, 1968; 684,000 acres (including the national park, Ross Lake National Recreation Area and Lake Chelan NRA); 789 square miles. High point: Goode Mountain, 9,206 feet (unseen from any road). 2015 recreation visitors to the national park: 20,677 (54th of 59 parks). Lake Chelan NRA, 32,186; Ross Lake NRA, 772,579. Seattle to Diablo Lake overlook: 129 miles. Much political wrangling preceded this park’s creation, and some terrific scenery was left outside its borders. Two great drives lie on the fringe of park boundaries: Mount Baker Highway 542 to Artist Point and state Highway 20 westbound from Mazama. Inside the park complex, pull over at the Diablo Lake Overlook. 1. The high-minded thing to do is book some time for the kids at the North Cascades Environmental Learning Center at Diablo Lake. 2. The crazy-uncle option is to take the 55-mile boat ride from Chelan to Stehekin, rent bikes and ride out to the Stehekin Pastry Company to get cinnamon rolls. Or, take a walk in Buckner Orchard or hike the 4.4-mile Rainbow Loop. 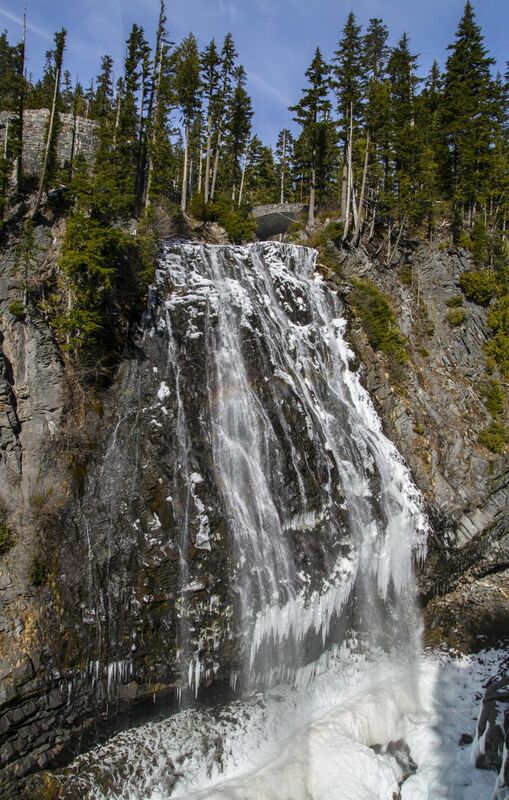 If staying at Colonial Creek Campground near Diablo Lake (off Highway 20), try the 3.6-mile round trip to Thunder Knob. 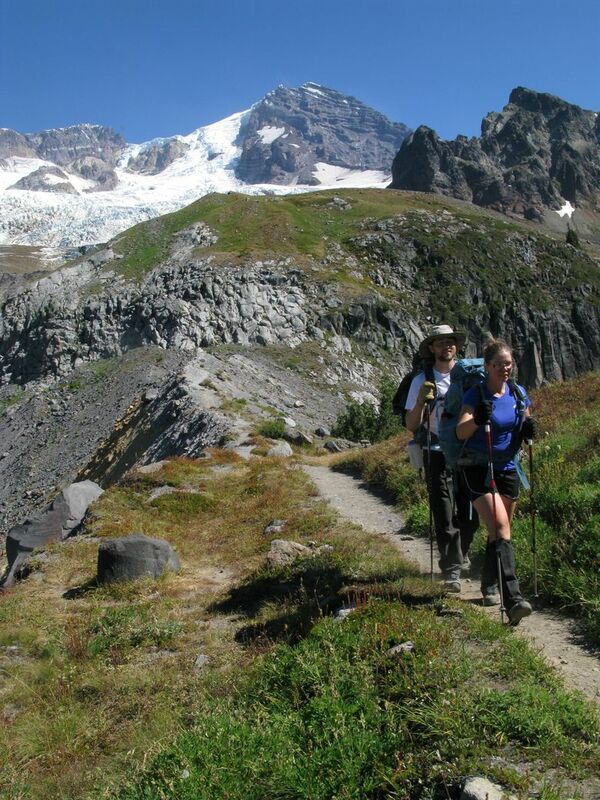 The 3.6-mile one-way hike to 5,400-foot Cascade Pass is a certified classic. (The view at the trailhead is staggering enough on its own.) If you can, summon the energy to climb super-steeply another 2.5 miles up Sahale Arm (7,000 feet) for a 747 view of many impressive peaks. 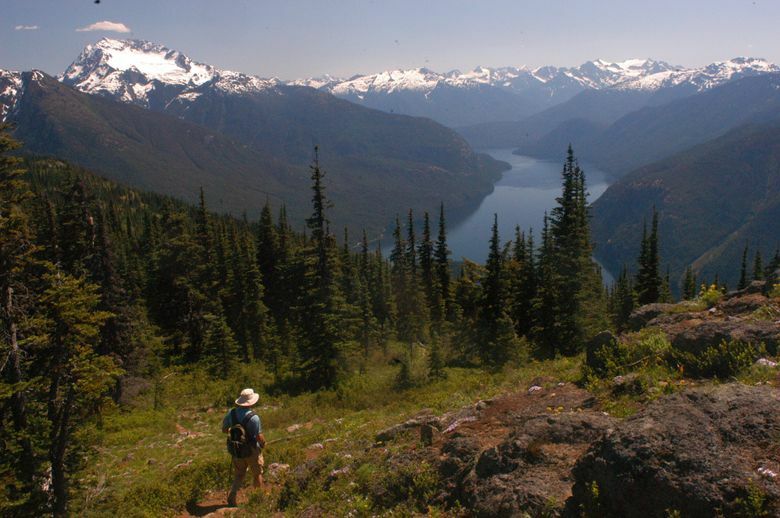 More great, steep trips: Desolation Peak (accessed by boat via Ross Lake), Hannegan Peak, Thornton Lakes/Trappers Peak, Hidden Lake Lookout, Sourdough Mountain — all major grunts. This place is climber heaven. Backpackers can take on a long, hard slog south of Thunder Creek to Park Creek Pass, a lovely gash in a ridgeline where all prior gasping and wheezing is forgotten. 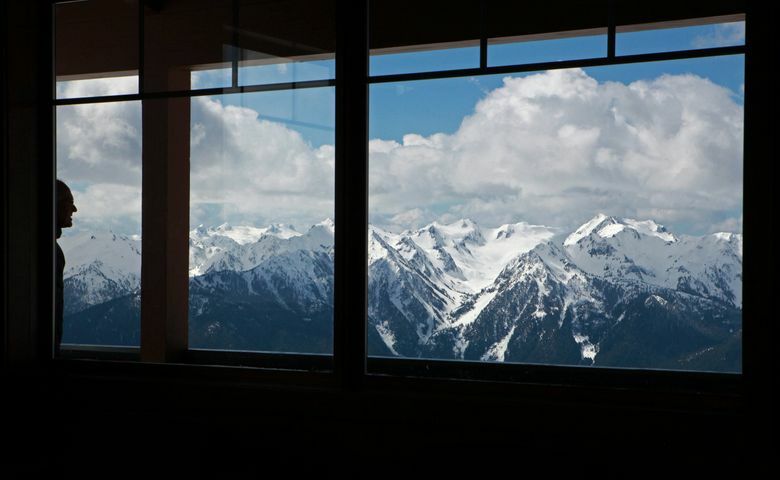 Or do a loop that includes Copper Ridge with its fire-lookout views, or camp a night near Cascade Pass and make a side trip to Horseshoe Basin and its dozen-plus waterfalls. 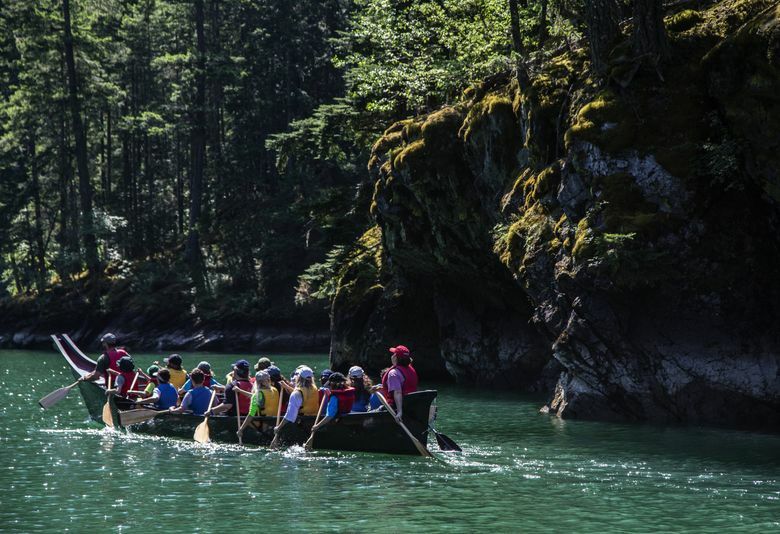 More information: nps.gov/mora. Main phone line: 360-569-2211; Wilderness Information Center: 360-569-6650. For a trail list provided by the national park, click here. For trail conditions provided by the park, click here.